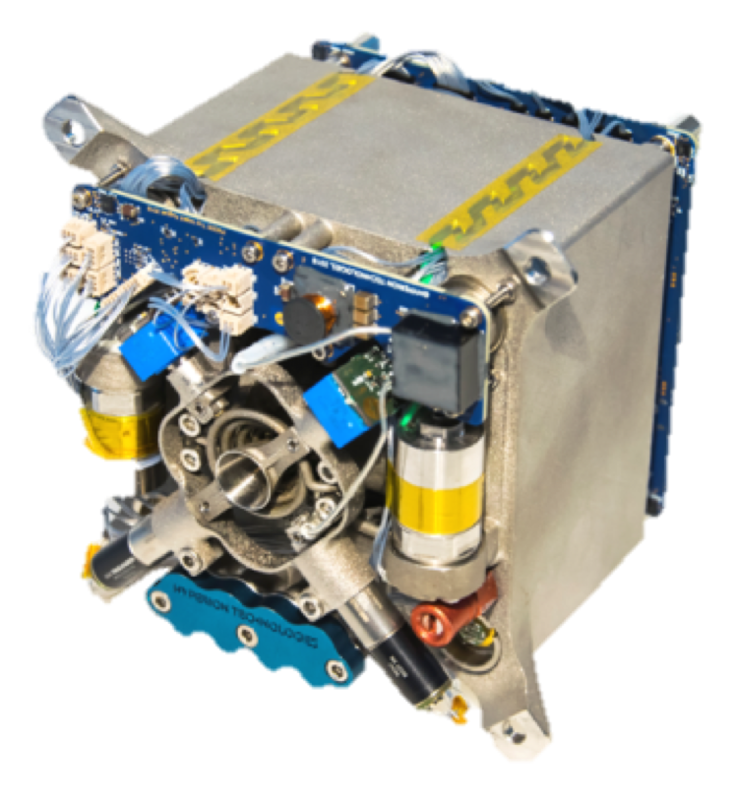 Dawn Aerospace, in partnership with Hyperion Technologies, have successfully developed several propulsion systems using a novel propellant combination with the potential to replace hydrazine monopropellant thrusters and MMH/MON bipropellant systems. The technology can easily be customized to your specific application. • >230m/s dV from a 1U module (for a 3U satellite). Higher dV is easily achieved from larger modules. Non-toxic, storable propellant based systems are the future. Hydrazine wont be tolerated much longer.